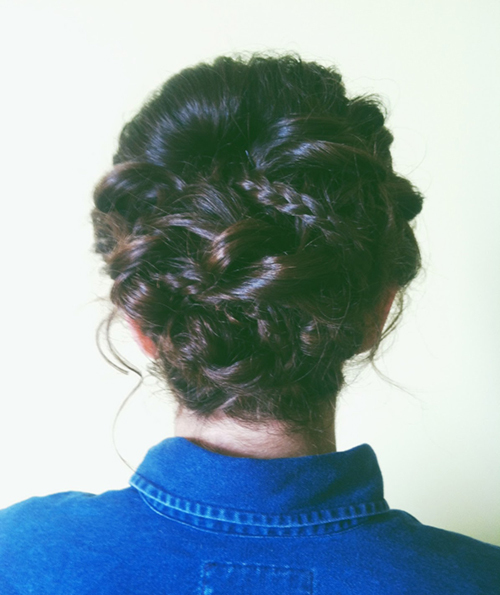 Here is an updo I did recently which incorporates both knots and braids – my client has thick, long, curly hair, so I wanted to make sure the updo wasn’t too large. Knots help to minimize bulk when you’re putting long/thick hair up. This is a great style if you want all of your hair up and out of your face, but want to keep is laid back and whimsical. Next Do or Dye TX welcomes M.I.L.K.